Solo Voicer a Bluetooth enabled noise cancellation headphone is now here for you. A perfect Bluetooth headphone for everyone who has an ear for music, this Solo Voicer Music Player has a built-in noise cancellation to keep your audio free and clear of any distortion. It's built-in mic will allow you to answer your phones or even use voice commands to talk to your phone. 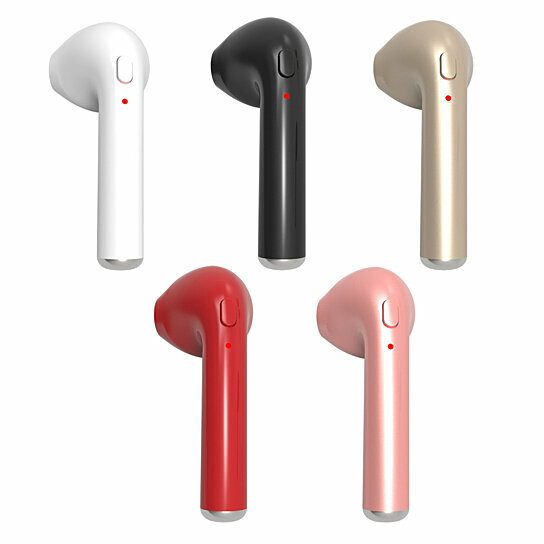 The headphone has quick charge function and comes with a single earpiece which means you can keep your other ear always open and ready for the rest of the world! Give a big thumbs up for Solo Voicer today! Bluetooth enabled, compatible with any Bluetooth enabled device including Smartphones. Built-in mic for 2-way conversation. APT-X processor to deleiver distort free audio. Quick Charge lasts for 12 hours, recharge via USB port. Multiple colors to select from like WHITE, BLACK, GOLD , RED AND PINK.